Want to deal with your own road rage? Jump ahead here! If you're here to learn about how to deal with somebody else's anger behind the wheel, just keep reading. Every driver, especially in a large metropolitan area, will have some exposure to this problem. But you don't have to be a helpless victim. It's important not to let their actions trigger your anger, or you'll become part of the problem. If you find yourself getting angry behind the wheel in response to others' actions, you will need some healthy anger management techniques and some healthy alternatives to getting revenge, both offered on this site--just do a search. It's really not personal, what the angry driver is doing. If you weren't there, they'd be doing it to someone else. I know it feels very personal, especially when their actions jeopardize your safety! It's just a good idea to remember that they have a problem, and it's not really about you. Have you ever been irritated with other drivers? Of course you have, and so you know how the angry driver feels--except they are carrying it way too far with their actions and reactions. This is a good time to look at some examples of road rage--and feel free to add your own examples and tell your road rage story here. Tailgating, or following too close may not always mean the tailgater is raging, but it is definitely one of the forms of anger on the road. Deliberately cutting off other motorists in traffic. Again, this doesn't always result from road rage--it could just be bad driving--but it is one of the things angry drivers do to intimidate other drivers. Driving too fast in any lane is one of the forms of too much anger behind the wheel. Regardless of whether the driver is actually angry or raging, this is aggressive and potentially life-threatening behavior. Driving too slow in the fast lane, or driving more than 5 mph below the speed limit in any lane creates a driving hazard for other motorists. Some angry drivers are passive-aggressive, so yes, this can be another form of road rage. Obscene gestures are perhaps the most common forms of road rage. Other kinds of gestures that basically show frustration and outrage are also common forms of this problem. Yelling, screaming and cursing are other familiar ways that angry drivers make their feelings known. Running other motorists off the road is definitely road rage! This is potentially life threatening, and is against the law. Call 911 immediately if this happens to you, or if you see it happening to someone else. Finally, anger behind the wheel can actually take the form of physical violence. Physical assault, threats with a deadly weapon and actual shootings have been reported in extremely hostile situations. Do not let yourself get caught in the deadly trap of getting revenge. Get out of their way. Since your own safety is your main concern, try not to aggravate the other driver, which could make the situation even more dangerous. Remember a time when you were in a hurry, irritated and angry, if you ever have been. If you think about it, most of us have probably done some of the same things the aggressive driver is doing. If the angry driver is giving you the one finger salute, ignoring them is usually the best choice of all--just pretend you didn't see them. You can also avoid anger and fear by not looking at the other driver if s/he seems angry. I cannot overemphasize this one! Breathe deep and relax. The more relaxed you are,the better decisions you will make and the better reaction time you will have if you get in a tight spot because of the angry motorist's dangerous driving. A relaxed body allows more oxygen to flow to the brain, making you more alert and better able to think clearly. If you are religious and/or believe in the power of prayer, say a brief prayer for the road rager. Pray for their safety and the safety of the other drivers. Pray that they will find peace of mind as soon as possible. Just thinking about praying for them will help to calm you down, and that's just the beginning. Think about your best friend, your pet or the funniest joke you've heard recently. Remember someone who loves you. This keeps you from being totally caught up in the emotional reaction to the road rager's behavior. You may become paralyzed in fear when faced with other drivers' road rage. Fear is a powerful emotion, and you do not want it ruling your body and mind. You might also want to get some counseling, or just learn how to deal with angry people so that you can work on your fear instead of letting your fear work on you! Learn Anger Management Techniques Now! Congratulations! You are a rare person, because most people with this type of problem don't want to admit that they have a problem. Why? You guessed it! Most road ragers think that the problem is the other drivers, and they think their anger is a normal response--wrong. But you're smarter than that! You realize that no matter how bad other drivers might be, your anger and your actions are your responsibility. 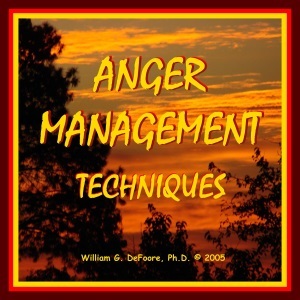 You're on your way to becoming your own best anger management resource. Make the anger stop right now by using the many tools on this web site, or tell your story and get some help. 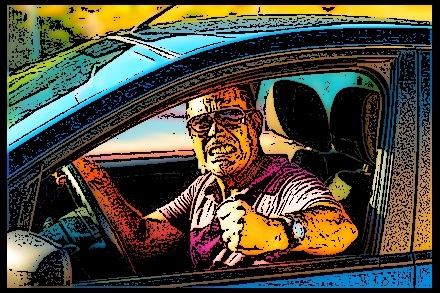 Whatever happens on the road, it's not more important than your health or your freedom--both of which are in jeopardy if your road rage goes out of control for too long! When you are extremely angry your higher brain functions shut down. Have you ever calmed down after a road rage incident and had the thoughts, "I can't believe I did that!" or, "I don't know what came over me--it seemed like something else was in charge of my actions." I had a client come to me after "waking up" to his road rage problem. He found himself pounding on a female driver's window after he had run her off the road--it was the look of stark terror on her face that snapped him out of it. Yes, people with extreme rage problems "black out" for periods of time, which is the evidence of higher brain function shutting down. The last place you want your higher brain function to shut down is behind the wheel. Learn more by reading about Intermittent Explosive Disorder. The most dangerous place we can be as human beings is moving at high speeds down a crowded roadway in a large motor-powered chunk of metal. You simply cannot afford to add to that danger by letting your anger make your decisions for you. Anger is not smart! Just ask the people behind bars for aggression-related crimes. If you really want to beat this problem, you'll have to face the reality that the problem is not the other drivers. The problem is how you react to those other drivers, and that problem was there before you got in your car. Want to start fixing the problem right now? Start using these anger management techniques on a daily, ongoing basis, until they become second nature. You have anger management problems, or you wouldn't have road rage problems. 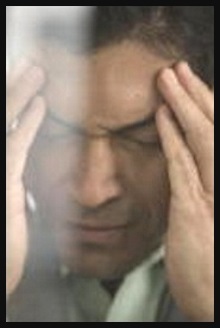 To solve these problems, you will have to deal with your anger issues and learn about anger and rage addiction. Putting your own life at risk. Playing with the lives and safety of your passengers. Risking the lives of other drivers and their passengers. Risking your own freedom--yes, there are people in prison right now for road rage related incidents. Potentially hurting everyone who cares about you--because all of the above risks that threaten you will also threaten your loved ones in some way at some point. Keep your breathing slow and regular, expanding your belly with each breath. Relax your body as much as possible. This could help you prevent anger escalation that leads to full blown rage. Say comforting, reassuring things to yourself like, "Just relax. It's going to be OK. Just keep driving, and we'll get where we want to be." This kind of positive self-talk is very helpful--think of the statements that might work best for you and write them down. Turn on some soothing music. Music can actually help you change your emotions and thinking process. Classical music is particularly helpful for this. Wherever you are in a hurry to get to, think about how you will feel if you get a ticket, have a wreck or go to the hospital instead of arriving. Go ahead and slow down and risk being late. Remember that at some point you triggered somebody else's rage on the road! If you drive any amount at all, you're going to get in somebody's way, and they just might think you're one of those horrible drivers that drives them crazy. Ultimately, we're all in this together, and the sooner you realize that the sooner you will calm down and get where you're going. If you've really got courage, imagine sending love and joy to every motorist you see. Sounds hokey, but all we're trying to do here is get you and everybody else home safely--so, whatever works! Imagine that it is your loved ones that are in those other cars. Remember that every one of the motorists around you has a mother, father, children and may in fact be a good person that you might like! Know that deep inside, you're a good person and you don't want to hurt anybody. If you don't believe this as strongly as you would like to, you might want to get some anger management counseling. Thanks for stopping by! If you're looking for more technical information on this important subject, read the Wikipedia article. We'd love to hear your story, whether it's about your own road rage or others'. It can be angry, funny or whatever feels right for you. You can just rant and rave, ask a question, or tell about how you were able to solve a road rage problem.